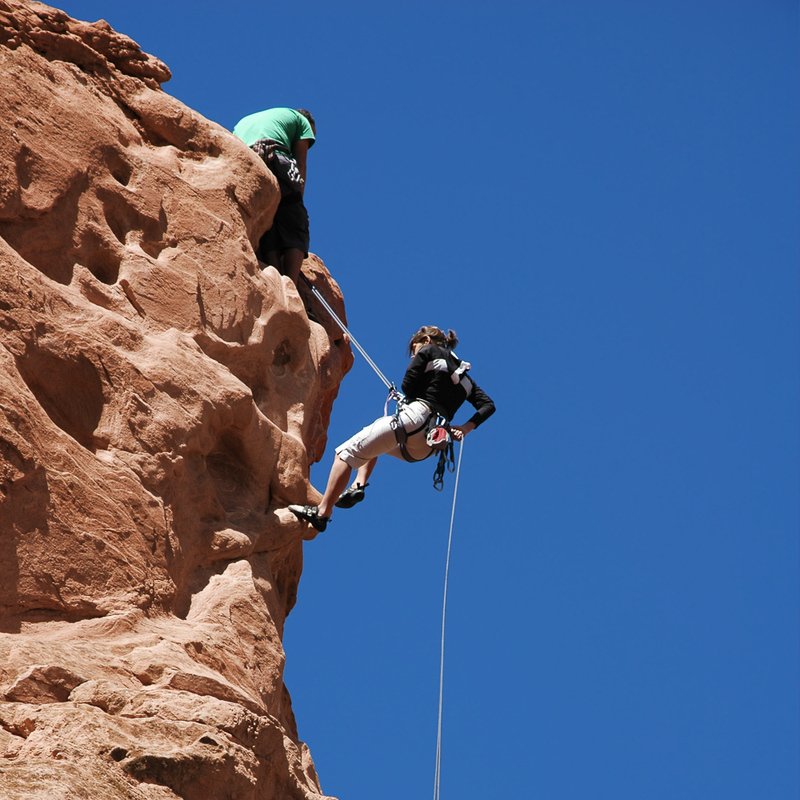 BVMA is excited to offer guided rock climbing and instruction at the Red Rock Canyon National Conservation Area in Nevada. The Red Rock Canyon National Conservation Area sits 20 miles west of Las Vegas, NV in the Mojave Desert. The colorful Aztec Sandstone has thousands of routes from single pitch sport climbs to 20 pitch desert adventures. All trips will be led by BVMA ski and rock guide John MacKinnon. A personalized and comprehensive introductory level climbing course that develops a solid climbing foundation. Ideal for families or groups. Get out off The Strip and explore the incredible sandstone cliffs just west of Las Vegas. No experience necessary. Climb a classic multi-pitch route, learn techniques such as route finding, belay station and rope management, self-rescue and descent strategies. Multi-Pitch Climbing Course goes beyond single-pitch climbs. Ideal for 1 or 2 climbers and tailored to group experience and goals.